Wavin Tigris Green Is Made Of Poly Propolyne Which Functioned As A Water Pipe Pressurized Hot And Cold Water. Where The Pipe Is In Use For Housing, Hospitals And Perhotelan.Dengan Splicing System Using Welding Machines Ppr (Heat Fussion) Are Available Ranging In Size From 20Mm - 110Mm. This Pipe Can Last Up To 50 Years Without Regular Maintenance. 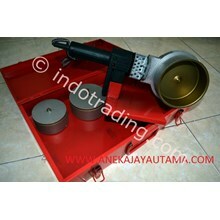 Utama Jaya CV.ANEKA Provides Various accessories and welding machine Ppr Pipe / Pipe Fittings Ppr Starting From Socket, Tee, Elbow, Sock Affairs drat, drat Sock In, Reducer, Flange, Cap / Dop, Etc. Valve. Ranging From Size 20mm (1/2 ") Up To 110mm (4") This Product Designed to flow Hot And Cold Water Pressure. Using the machine as well as Pipe Fittings Ppr It, So Will Facilitate Splicing Process Ppr Pipe System Connection with Heat Fussion. And The Temperature Variation Of Wal Thickness In Accordance With Its Use. 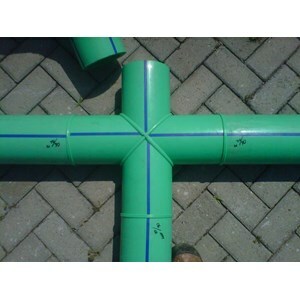 Pipe), Anti-Leakage And Maintenance-Free And Uses Up To 50 Years Of Age. 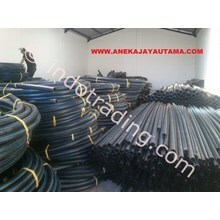 Anda Mencari "Wavin PPR pipes & fittings | Era"? 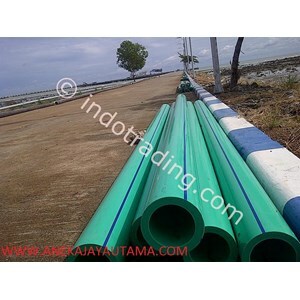 Buat Permintaan Untuk "Wavin PPR pipes & fittings | Era"